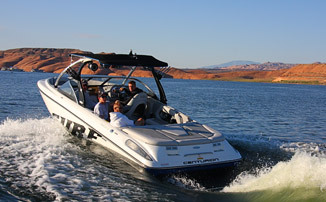 Utah Lake, boat renals & jet ski rentals for the wakeboard, waterskiing, boating and water sport enthusiasts. Affordable boat charters and lessons. We have been dedicated to the boating industry for may year now trying our best to bring to our clients products that can help in there recreational needs specializing and focusing on water play and boating. Utah Lake has always been one of our favorite spots because of how convenient it is to all the cities in Utah County and the Salt Lake City area. We have become committed to helping others experience our passion by providing a one stop service making it easier and less hassle to create the memories. We are committed to service & integrity our staff are freindly and easy to work with committed to making our clients 100% satisfied. Chartering a boat and driver or renting a boat you will be pleased with our staff and equipment. Office Staff, professional driver/instructors & support teamare committed to service & integrity. Our staff are freindly and easy to work with committed to making our clients 100% satisfied. Chartering a boat and driver or renting a boat you will be pleased with our staff and equipment. We created our GoPlay-Utah Lake as a way to better serve our clients. In order to provide a Utah Lake specific service we created a Utah lake division with the purpose of providing a one-stop-shop for clients for their boating recreation. There are so many details in reserving lodging, dinning, houseboats, power boats, jet skis, water toys or RV Park and campgrounds that we decided to try to make this process easier for our clients. With the help of many of our affiliates and partners we can bring this service to you. Not everyone has the time or money for full boat ownership for that reason we created GoPlay-Utah Kaje to fill the need of those who wanted to enjoy boating,& water sports with out the hasles of full boat ownership. We found in most cases it is cheaper for many people than owning the equipment. We offer many services for our clients to make your experience as enjoyable as possible, pick up and delivery, concession or food services wave runner rentals, lessons and instrucion for all water sports. GoPlay Utah Lake - Lindon Marina is a division of TK Watersports.